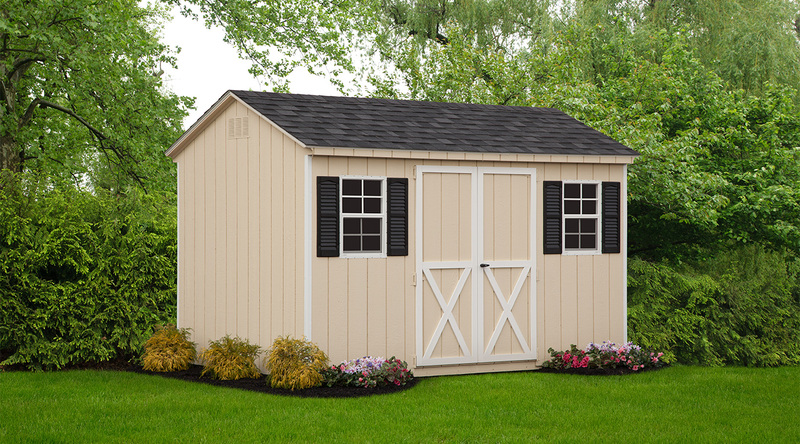 With its simple, classic style, our A-Frame shed fits perfectly into any backyard setting. Choose from an extensive variety of sizes and colors. Options include wood finish or beautiful, maintenance-free vinyl. 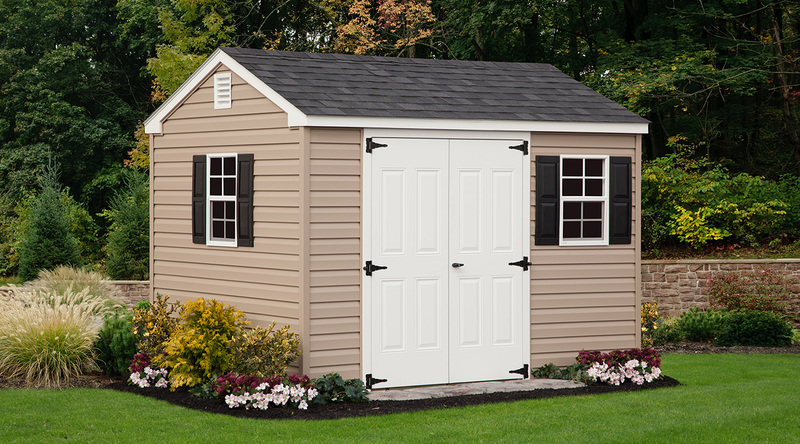 Many of our wood sheds are constructed with prime-grade building materials and LP SmartSide panel, making them resistant to moisture, pests, delamination, warping, cracking, and fungus. SmartSide is simply a better choice for lasting quality and beauty. 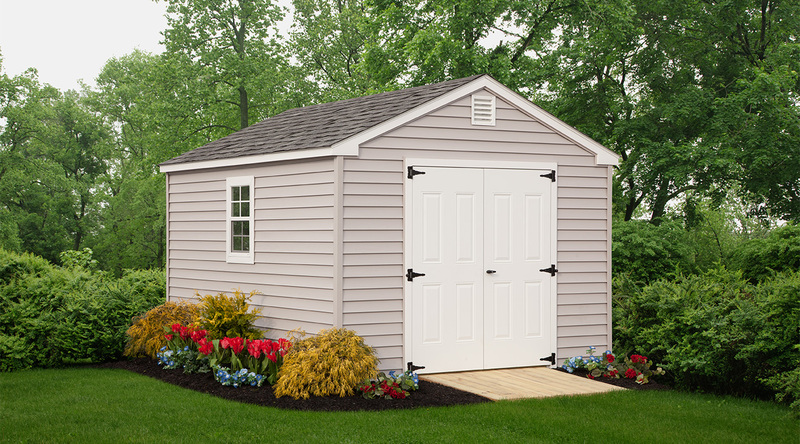 We build our Classic A-Frame to higher standards for strength of materials and floor construction. 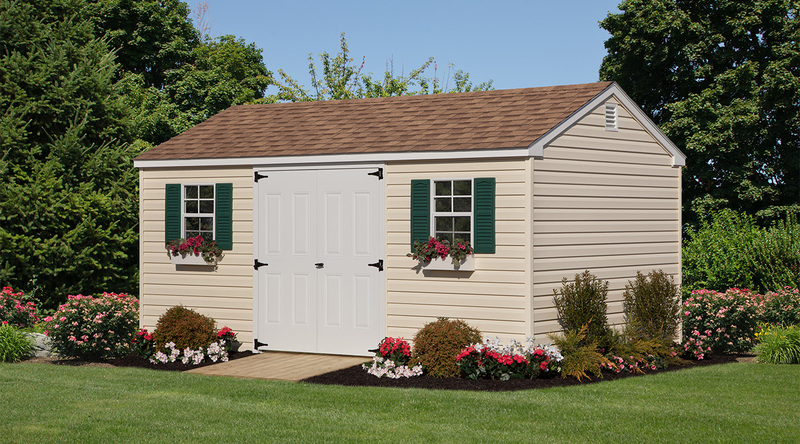 Available with a choice of roofing options, colors, placement of your double doors and in wood or vinyl. 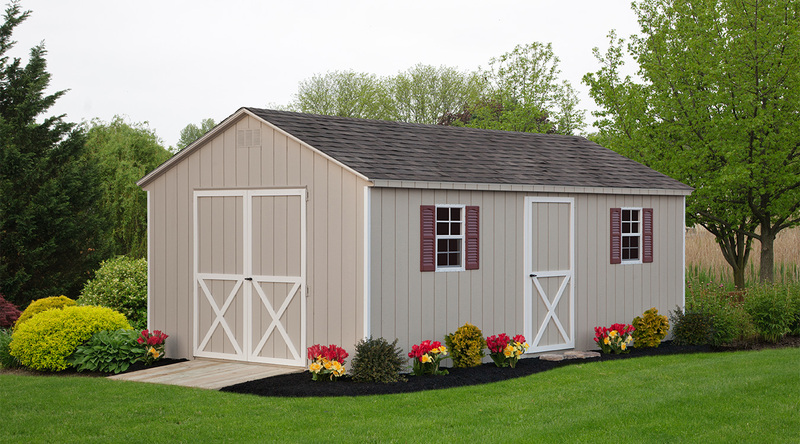 Personalize your building with additional features including workbenches, partitions, lofts, extra windows, and extra doors.